Below you’ll find an overview for a nice and enjoyable day for young and old. For a delightful day on the Vecht with family, friends, girlfriends, or colleagues we offer a diverse set of arrangements. Starting from a budget trip to a culinair delight on the Vecht, we have all you need. Our arrangements are suitable for both group outings and family days, party locations or weddings, bachelor parties or company outing! Are you looking for a round trip on the Vecht with a smaller group or as a couple? Look for the possibilities at round trips on the Vecht. This trip is planned daily during the months of July and August between 11:00 till 12:30 o’clock. 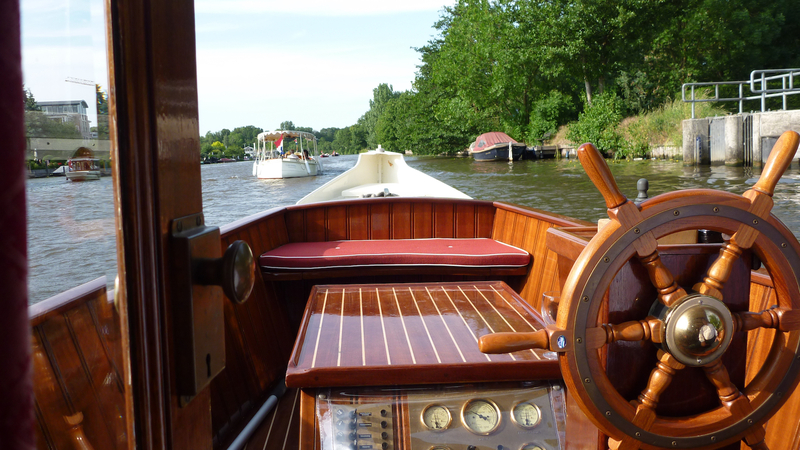 This affordable trip along the Vecht in one of our saloon boats is a delight. Of course you are free to bring your own snacks and drinks. Have a great time with low costs, book your trip now! We will sail you on the Vecht in one of our unique saloon boats De Kampioen, Swaenenvecht or Zuylenburgh all of which have been built around 1900! We will provide an unforgettable two hour trip with a luxurious lunch aboard. Sailing on the Vecht with a drink in hand, in one of our beautiful saloon boats or with the sloop. Thats how you experience the good life! You’ll have a comfortable round trip with drinks on the Vecht. Especially suited for a party, wedding, reunion, after work or before dinner. Many a group has enjoyed our salad buffet on our saloon boat Swaenenvecht so far. We will sail you along the beautiful outdoor areas, castles, pavilions and beautiful nature. During this trip you’ll not only experience the environment but the wonderful dishes as well! Do you have special requests, boarding location, catering or sailing route? We are happy discuss the possibilities. Want to sail from Nieuwersluis to Utrecht to explore Utrecht with a guide? Are you getting married in Goudestein in Maarssen for example? Let us know, and we will do our best to offer you an arrangement that suits your needs!